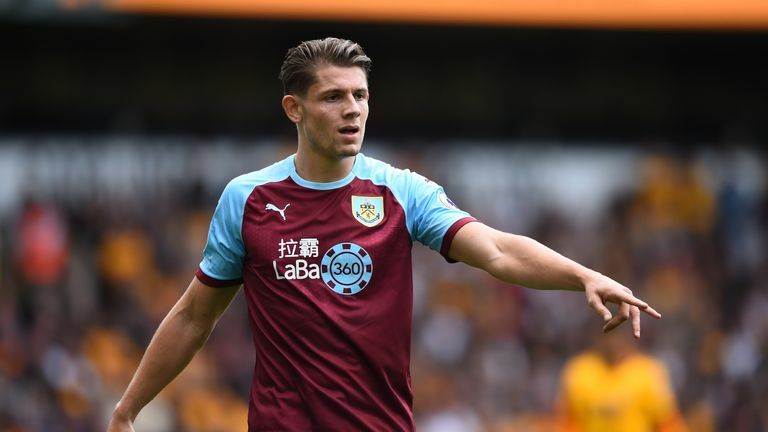 Burnley manager Sean Dyche insists he is unaware of any interest in James Tarkowski or Joe Hart during the January transfer window. Tarkowski, who has played 24 times for the Clarets this season and made his England debut in their 1-1 draw against Italy in March 2018, has been linked with a move to Liverpool. Hart has played 21 times this campaign but was dropped following the 5-1 thrashing at home to Everton on Boxing Day but Dyche says Burnley have not received offers for any players at this early stage of the window. "I'm not suggesting it's rubbish, I'm suggesting it's a new one on me," Dyche said of the Tarkowski rumours ahead of Saturday's game against Fulham in the Premier League. "Virtually all players here have been linked with someone and they get used to it. "Tarky has certainly had that many times and I think he's going about business very well at the moment. We haven't had inquiries for anyone." "It's tough for everyone ad we have our own way of working which does sometimes make it even tougher but that's just the way it is." A three-game losing streak in December culminated in the heavy defeat to Everton but Dyche's side have now won three consecutive matches in league and cup. "Before those three games I felt, despite the results, there was a feeling in the camp with how they were performing but you need rewards for that," he said. "I am pleased to say was just a blip, but a bad blip, against Everton but a great reaction and we came out of that with three very good performances. Highlights from Burnley's 2-1 win over Huddersfield in the Premier League. "I felt it was coming, I felt the team was performing, and they seemed to have their eye in. Two good wins and a win in the cup and things feel slightly different but that doesn't guarantee the next one." Dyche has previously stated he is keen to keep three high-quality goalkeepers at the club and with Nick Pope returning to full fitness and featuring in the 1-0 win over Barnsley in the FA Cup last weekend, he has strong competition for Tom Heaton and Hart. Hart has been the first choice stopper for most of the season but Heaton returned to action for the Premier League victories over West Ham and Huddersfield, but Dyche was keen to praise Hart for his positive reaction to being dropped. Nick Pope has spoken of the lift he got from a phone call from England boss Gareth Southgate during his spell out injured. "It is a risk and reward scenario when you change the goalkeeper," said Dyche. "Tom's done well. It doesn't make Joe not a top keeper, because he is a top keeper and a top pro as well. "He [Hart] accepted it, moves forward. He's an absolutely top-class professional, no two ways about it. He's been the first to congratulate Tom, they're good friends anyway. That's the challenge of being a 'keeper. It's very tough. "We think we have three very, very good keepers and two support that group as well. I'm happy to have them all. When the decision comes, then it will be a big decision. But that's the way it goes."